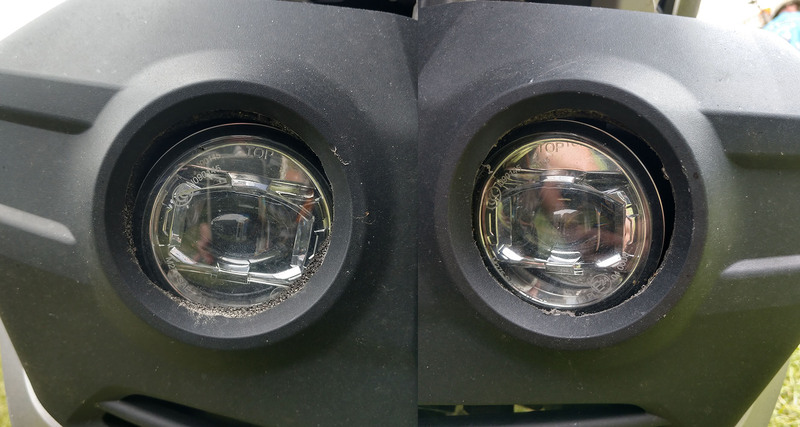 Why make the 2018+ Honda Goldwing / Tour Fog Lights Adjustable? When the first kits started showing up on bikes, we noticed something. Many were like the first version of the OEM kits where the light was not aligning itself with the hole in the cowl. This ends up with you having light you paid for end up behind the cowl and never making its way on the road as intended. Plus, I’m OCD. We don’t just design products that work well – they have to look the part as well. In the pic above, you can see the OEM Honda kit installed and how badly aligned they are. This is both sides on the same bike. Electrical Connection is the only company to build lights that have adjustment. And now you know why.